Figure 1: Decomposed Pressure Iso surfaces showing the helical distribution of the PVC. Images are made with Tecplot 360. Cranfield University has a strong history in computational fluid dynamics (CFD) methods and combustion modelling, training hundreds of CFD experts as part of the Department of Engineering Physics, Masters of Science in CFD program. 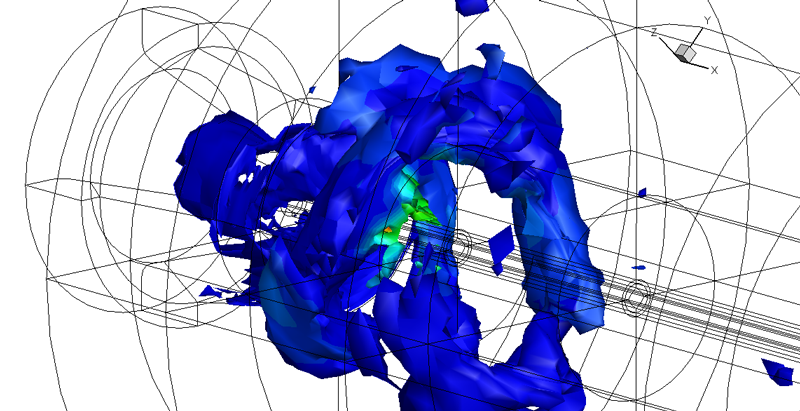 The master's students have benefited from the close relationship between Cranfield and Pointwise, which has enabled them to gain experience generating both structured and unstructured grids. In his thesis, Pablo Aguado Lopez (Masters in Science in CFD 2011-12) developed methods and ran large eddy simulation (LES) calculations of a prototype combustor using Flamenco, a fifth order in space, second order in time in-house code developed specifically for multi-species compressible flows. He implemented non-oscillatory fully compressible species tracking via a set of quasi-conservative volume fraction equations. 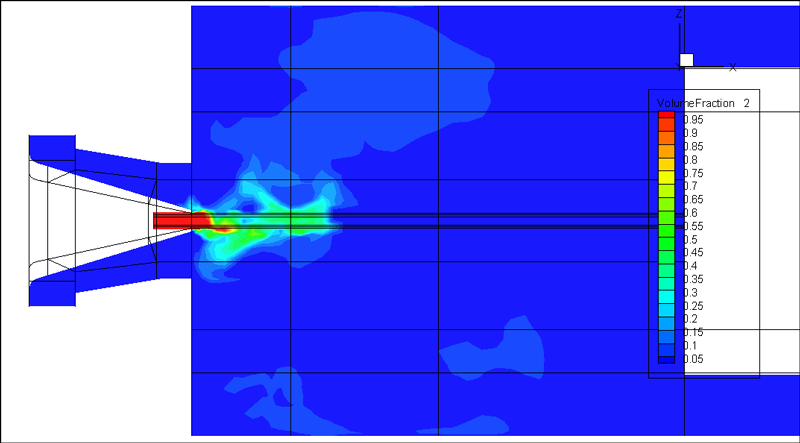 These simulations examine the cold flow to explore the efficiency of this simplified design. The fully structured grids required were produced in Pointwise, which provided the necessary control over grid spacing, block size and, importantly, a reliable output to CGNS file format used by Cranfield's code Flamenco. The strategy followed to produce both grids was to use the minimum number of cells possible so that low time and computational effort requirements could be accomplished without missing the essential physics of the problem. Figure 2: Streamtraces with non-dimensional axial contours. Figure 3: Averaged contour values of Axial Velocity. Figure 4: Averaged contour values of Tangential Velocity. 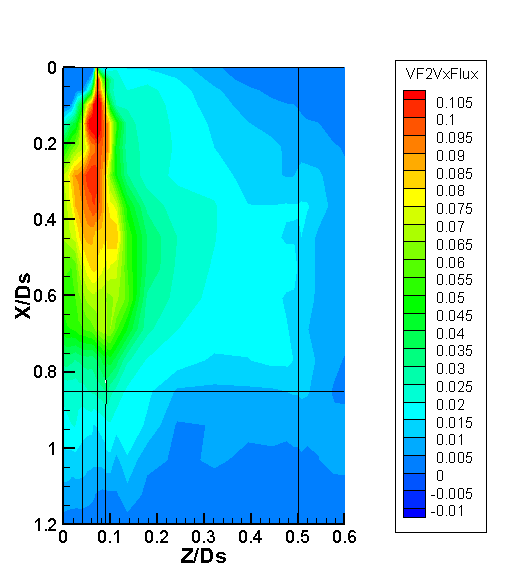 Figure 5: Averaged contour values of Volume Fraction of Fuel. Figure 6: Axial Turbulent Fuel fluxes. 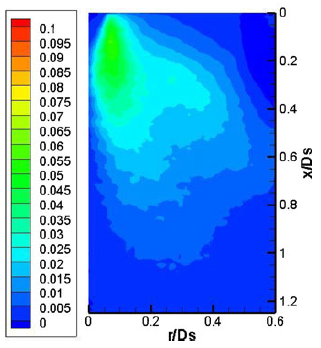 Figure 7: Radial Turbulent Fuel fluxes. Figure 8: Instantaneous Volume fraction at t1. Figure 9: Instantaneous Volume fraction at t2. Figure 10: Instantaneous Volume fraction at t3. Figure 11: Instantaneous Volume fraction at t4. 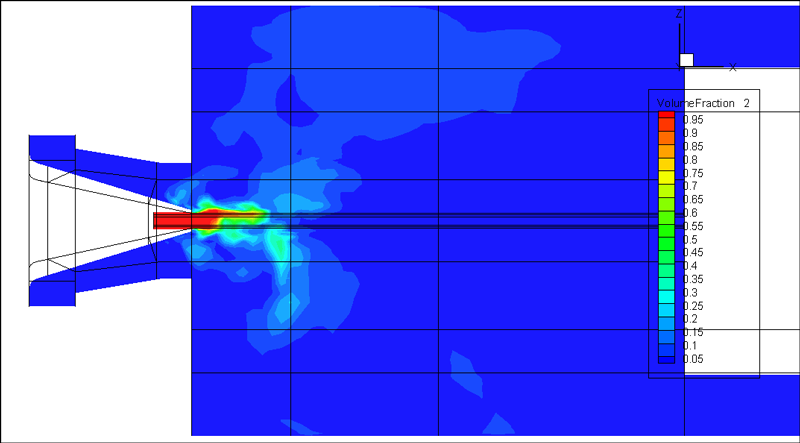 The next steps are to improve results quantitatively through the use of finer grids using Pointwise, improved initialisation and calibrated boundary conditions.